Hi Erika! I bought the UNICEF Christmas cards this year and the proceeds will go the UNICEF fund. This post, your letter, and your wishlist are all adorable! I hope you get everything your heart desires this holiday season, Erika! wish you merry merry christmas, honey! I hope you get all of your holiday wishes and desires. I bought a book for my mom for Christmas, and had the opportunity to spend an extra $3.00 to buy a children's book for a local elementary school. It's not much, but it was something. Usually, my mom buys a cart full of groceries and gives it to the local food bank. This year she didn't have the time, and she was incredibly devastated. I hope you get everything you wish for this year! Merry Christmas! All of these things sound like the perfect way to give back! I gave back through labor at my local holiday coalition, rather than a purchase. Aw such a sweet post =) I do love gifts that give back Merry Christmas! 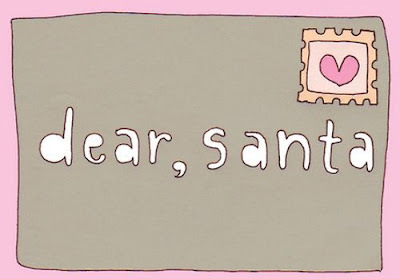 Erika, Santa will surely be happy when he reads this. you are so sweet! hee hee! the ring is fantastic! and we made numerous donations! This post warms my heart - I hope you get all you wish for! Such a darling letter and wonderful wish list!! I hope you get everything you want for Christmas. You truly deserve it. Merry Christmas! Such a great wishlist, Erika. Its always nice to give back. The DKNY T-shirt has made it onto my list as well. Hope you have a great Christmas!!! Erika, Merry Christmas to you too! and to be honest? no purchases. I always make donations for charity in januari, that's my way of "giving back". that beggar purse is awesome! love it! This post is too cute! I love your idea of getting gifts that also give back. The tee and Lush product is awesome! Thank you so much for being such a great friend and leaving wonderful comments for me as I journeyed through my first 6 months of blogging. I hope to continue this for years to come. Happy Holidays!! 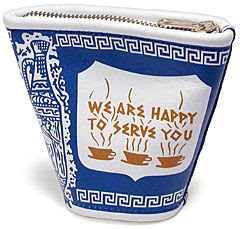 Oh wow, for a split second I actually thought that little purse was a squished coffee cup! I had big plans for giving back, was going to stop by yesterday at Central Casting NY's food drive with some yummy stuff that I had bought for the homeless... and then I got booked for a job! I guess I will have to find another charity that will accept my donation! These are lovely items, Erika! I love that proceeds from these items go to great causes. That is always amazing. Plus, that purse is too cute! hope your wish(list) is fulfilled....i love lush products!! I'm sure santa will read this! nice letter by the way.